Wonderful house with 6 suites, gourmet space with barbecue and pool. Beautiful beach house, designed by the famous architect David Bastos, among the best in Brazil. Air conditioning in all 6 suites, ample gourmet space with barbecue, fridge for beer and soft drinks, integrated the dining room, space for networks. Fully integrated environments. Full kitchen with refrigerator, freezer and microwave. Maid's room with bunk bed and bathroom. Laundry room with washing machine. Condominium Casas do Sauipe - Grande Laguna: It is a closed condominium with exclusive concierge, has 2 soccer courts, 2 tennis courts, mini golf, children's playground, Spa, swimming pool with semi Olympic track, gymnasium and cinema room, besides ample space for walking or cycling. The comfort of an excellent house, with the tranquility and security at international level. 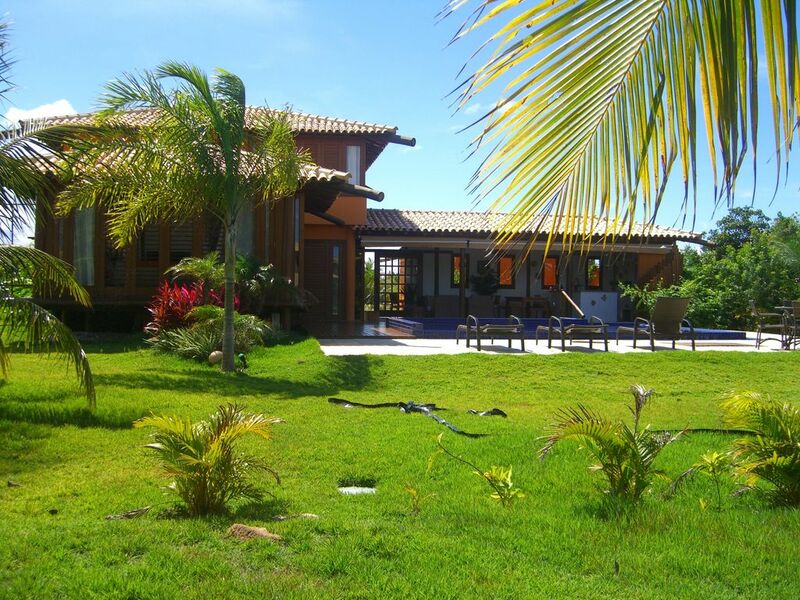 The condominium is located within the Costa do Sauípe Hotel Complex, which has a golf course and equestrian center. Its residents have free access to Vila da Praia, a charming and pleasant place, which has restaurants, bars, convenience store, pharmacy, boutiques and daily nightly schedule, with diverse musical shows and shows. Excelente casa e local, recomendo. A casa é excelente corresponde totalmente ao anúncio. Quartos amplos limpos e confortáveis. Área da piscina uma maravilha. Tivemos boa receptividade desde o início da negociação, a propríetaria muito educada e prestativa, inclusive excelente apoio local. Recomendo com toda certeza e espero voltar. Casa linda, melhor estadia de todas! Sem palavras! Amei a estadia... casa linda e confortável! BA Highway 99, Km 76 Sauipe condominium homes. Coast of Sauipe - Mata de São João / Ba.